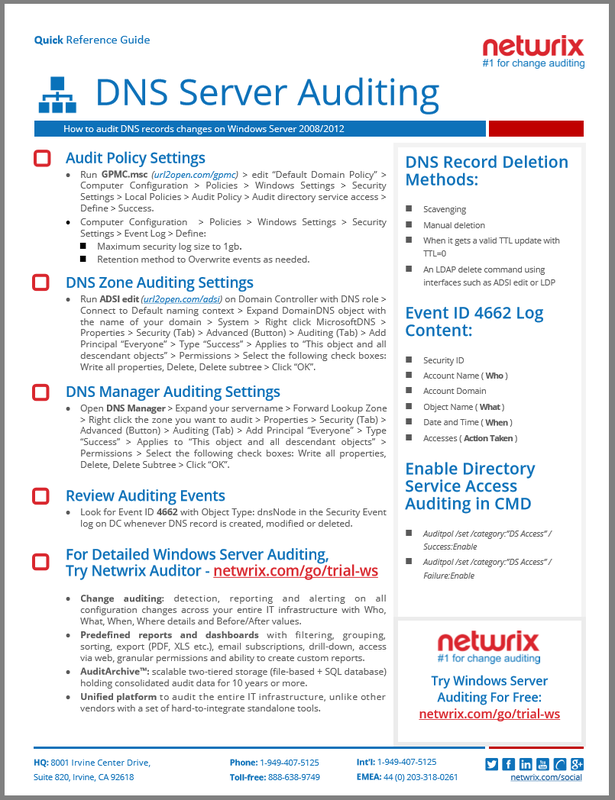 The goal of this guide is to show system administrators few quick, most common tips about auditing changes to DNS zones. If you want to know who has created a new dns entry, changed or deleted it, this Quick Reference Guide is devoted to help. 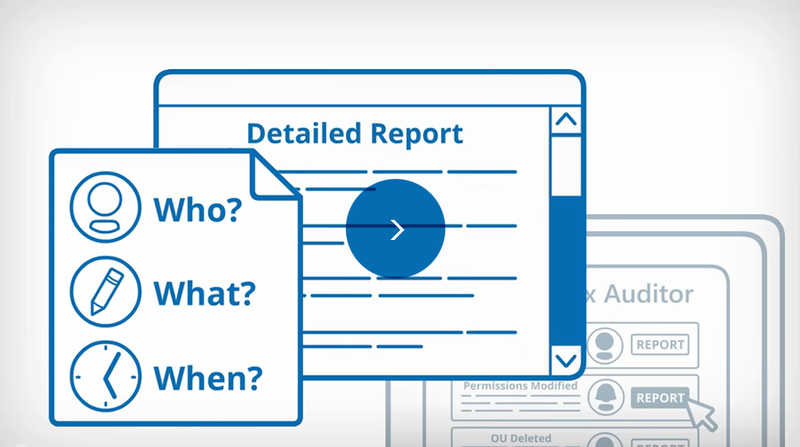 Netwrix Auditor for Windows Server is a change auditing solution that strengthens security, streamlines compliance and optimizes operations by providing comprehensive Windows server auditing capabilities. It enables complete visibility of your Windows Server infrastructure by detecting and reporting all changes made to configuration of Windows-based servers, including hardware devices, drivers, software, services, applications, networking settings, registry settings, DNS, and more.